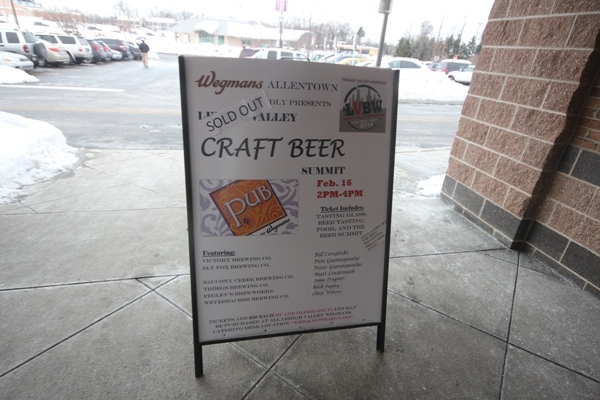 Lehigh Valley Beer Week kicked off on Sunday at Wegmans in Allentown with the Lehigh Valley Craft Beer Summit, a meeting of some of the biggest Pennsylvania brewers and local beer makers in the Lehigh Valley. 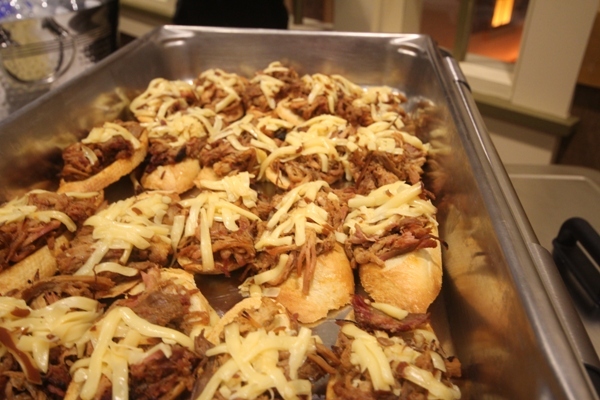 The event featured a tasting of various beers from the present breweries as well as snacks provided by Wegmans. 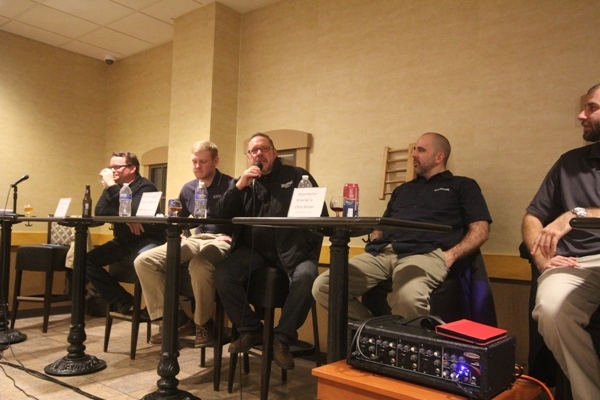 The main draw was the panel, where all of the brewery owners, brewers, and craft beer employees answered crowd-submitted questions about national craft beer trends, starting breweries in the Lehigh Valley, the hardship of going from homebrewer to professional brewer, and the enthusiasm of the local Pennsylvania communities in supporting the craft beer movement. 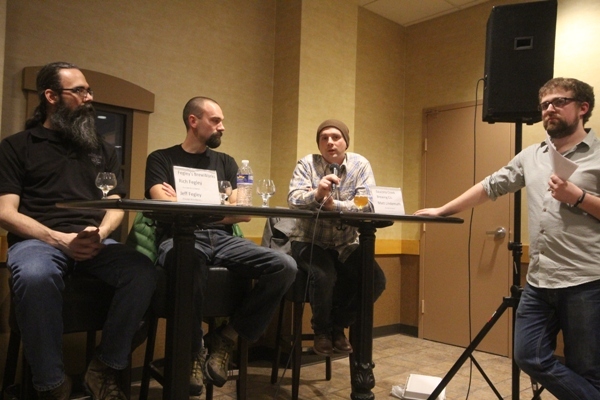 The questions were interesting and it was great to hear the insights of some of the major craft brewers in the country, like Victory, and hear about how some of the new startups, like Saucony Creek, got off the ground. 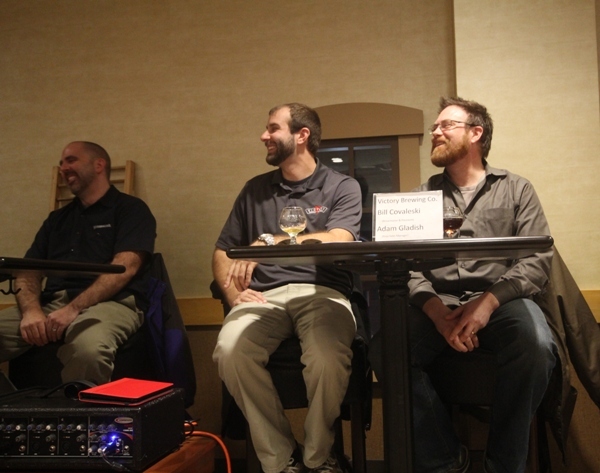 The candidness (and comedy) provided by the panel made for an enlightening discussion. 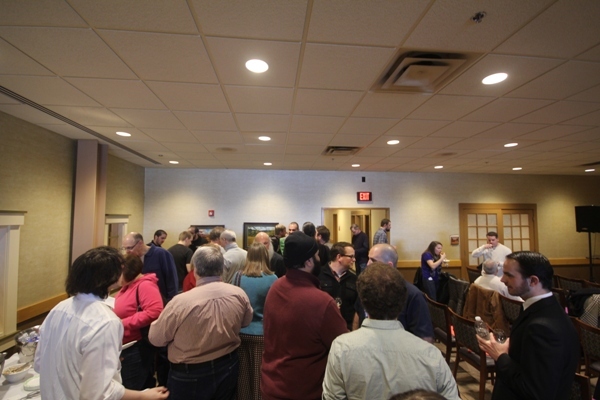 The Summit was well attended and sold out, with over 75 tickets and around 100 attendees. We quite enjoyed the event, and hope it continues into next year, possibly with even more participants (Hijinx, Colony Meadery, and Two Rivers). 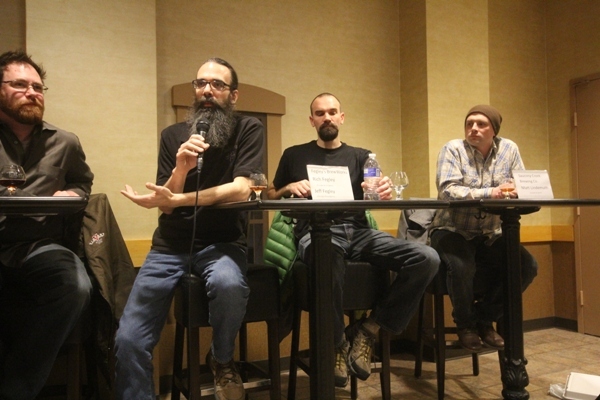 While we did hear some people noting that they wished there were more beers to sample, the main draw of the event was to hear the panel discussion, and that didn’t disappoint. Thanks to Wegmans for the invite to cover the Summit.